Around the age of three, I got my ankle caught in the spokes of a bicycle. The injury turned into a staph infection, taking me out of the world of childhood play for quite a while. We have pictures of me sadly sitting by a pool with my foot and leg bandaged up, while my sister and cousins are having fun playing and splashing around. Even though I totally recovered, I still have a scar on my ankle and always will. A few years ago, I needed surgery, and was quite surprised when it took me many weeks to be able to function and take care of my family again, instead of them taking care of me. Once again, I have a permanent scar, reminding me of what I went through. Just like a physical scar, there are things that happen in our lives that cause emotional scars. The scar of the death of our child is definitely one of those events. Our daughter, Becca, had her left leg amputated when she was only three years old, due to bone cancer. The scar on her stump from her missing leg is a lot like the emotional scar we carry when our child has been cut off from us on this earth (much more than the scar on my ankle). But the comparisons don’t stop at the scar of the injury. Did having a staph infection in my ankle keep me from ever swimming again? No way! 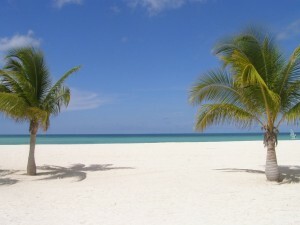 I love to swim and be in the water (especially in warm places with beautiful beaches). Did having an amputation keep Becca from running and playing with the other children? No, it didn’t. It may have slowed her down and caused her to adapt to how she ran and how she played, but it didn’t stop her. Does the death of our child mean our life is over, and we will never be able to live a full life again? No, it doesn’t. We need time to go through a “recovery” process (for lack of a better word) and need time to learn how to function with our child no longer here, but it doesn’t mean we will never be able to function again. We will go through times when everyone around us is splashing and playing while we are unable to participate because of our wounds. We will go through times when we can’t function, and have to wait for more healing. We will go through times when we have to adjust the way we do things. We will forever bear the scar of our amputation. We will always have reminders that part of us is missing. But we are not permanently injured to the point of being out of commission for the rest of our lives. If you are in the first one to three years of grief, this may sound impossible. But I assure you, it isn’t. May I remind you there are still people who want and need you in their lives; God still has a plan and purpose for you. Don’t give up. Don’t give up on life. Don’t give up on hope. Don’t give up on happiness, laughter and joy. Hang on, one day, one minute, one breath at a time. When it is time to do nothing but rest, that’s okay; do nothing but rest (and cry, or whatever else you need to do). When it’s time to get up and push your way through, do it. Fight for it. And make sure you have people in your life who have faced the same “injury,” who are further on the path ahead of you. Knowing others have been able to live beyond the death of their child reminds you that it is possible, plus, they will be your greatest encouragers, understanding the process because they have been through it themselves. Yes, we will forever bear the scars of our amputation. We will forever be reminded our child is no longer here with us. But we can also learn to live a full life with part of us missing. I know, because I have the scars to prove it. If you would like a free copy of Thirty-six Scriptures of Hope to print out and meditate on, click here. 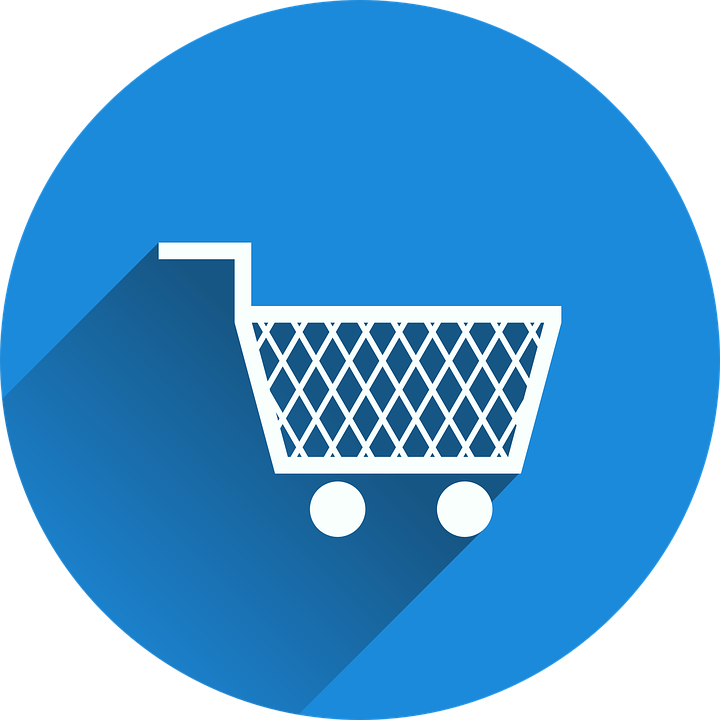 You will be taken to a page to access our free library, which has many useful items. 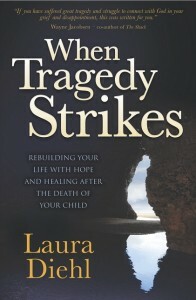 Expressions of Hope is written by author and speaker Laura Diehl to bring hope, light and life to bereaved parents, which she call pareavors. (Pa from the word parent, and reave from the root word bereave which means “plundered or robbed, deprive one of, seized, carry, or tear away.”) This is a pretty good description of who we are and what has happened to us. 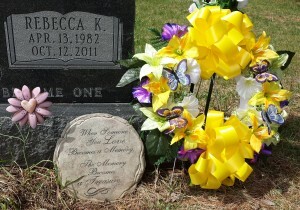 We are just a few days away from the five year anniversary of the death of my daughter, Becca. Like the rest of you, the first year was so very painful. The second year was shockingly worse, as if that were even possible! The third year was still painful, but the reality of having to learn who I was without my oldest child was setting in. Last year I did “okay,” but this five-year-thing has me very fragile. What is it that makes this so hard? Is it because five years seems such a long time? Is it because buried somewhere deep within me I know this is just the beginning? Is it because I have tried for the last three years to make sure my other children don’t think I loved Becca more than them, so when at home I do my best to pretend I am fine 95% of the time? Is it because my previous son-in-law took down her Facebook page saying five years was long enough and we need to move on (like he has with a new wife and son) so now I can no longer visit her there? Or is the real reason the simple fact that I gave birth to her, raised her for 18 years, had her for one of my best friends for the next 11 years, and then in one moment’s time it was all taken away from me, and it just plain hurts, no matter how long it has been since she left us? I find myself crying out to God at how desperately I still need Him for this grief I still struggle with. And what comes to me in the quietness of my soul is that a change in perspective can be very powerful. Here are some of the things God reminds me of that can ease my pain, and make life livable again. I am not getting further away from Becca with each year. I am getting closer to her, as each day brings me closer to my own departure to be with her again. It’s only stuff. Yes, it is Becca’s stuff that I no longer have access to on Facebook, but no one can take away the part of her that lives forever in my heart, my mind, my memories… my very soul! 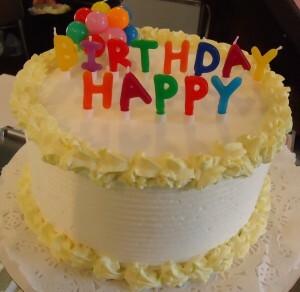 While 29 years was not enough, it WAS! It happened! I was blessed with this daughter who brought so much joy (and many challenges with her stubbornness) to my life. I can finally say I would rather have had her for only 29 years than to not have had her at all. I still cry, I still hurt (sometimes very deeply), but I also rejoice that this life is only temporary. And that leads me to the last change in perspective I want to share with you. 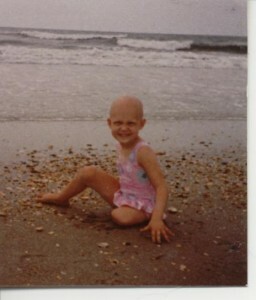 The anniversary of Becca’s death is also the day of her birth – her birth into a new body with both legs (her left leg was amputated because of bone cancer at age three) and a heart that is strong that no longer keeps her life so limited (since Becca suffered heart damage from the chemo, which is what eventually ended her life). She didn’t get someone else’s used heart in a transplant that she so desperately needed here on earth. She got a brand new one that will never go bad on her again. 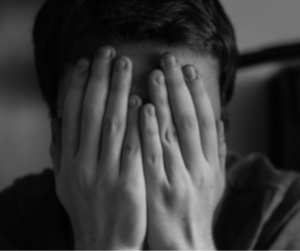 Painful grieving? Yes. But without hope? No. While you are here, please take a look around the GPS Hope (Grieving Parents Sharing Hope) website to discover all that is offered to grieving parents, including GPS Hope events that might be in your area. Have you ever faced a tragedy, finding yourself in a very dark place as a result? You are confused, broken, in despair, and lost? I have, more than once. (And many of you know about some of those experiences from my book Triple Crown Transformation.) But the one that left me in the deepest, darkest pit by far came from the death of our oldest daughter. Many professionals say that experiencing the death of one’s child is the greatest trauma a person can face. Those who have faced the death of their spouse, a sibling, or other losses and have also faced the death of their child, say losing their child takes them to a much deeper darkness than other losses, and it lasts so much longer. When Becca died (you can read about her story by clicking here), I didn’t know anyone who had lost a child, and had no one to guide me through the darkness that made me think I was going crazy. I started reading books from other parents who had experienced the loss of a child, and most of them seemed to carry the message that our lives are forever a black mess we can’t get out of. I would read how angry and bitter these parents were; just waiting to die so they could rejoin their child. I would read how their living children would say they also lost their mom when their sibling died. This just wasn’t acceptable to me. I knew I had the seed of Hope living inside of me. 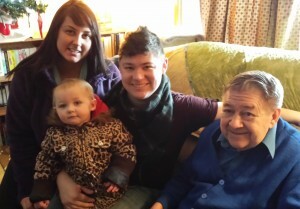 I knew I wanted to be part of the lives of my other children and my precious grandchildren. I knew God still had a calling on my life, with a purpose. I grabbed ahold of God with everything I had, and I fought. It took months, even years, because of how deep and dark that pit is when you have to bury your child. Sometimes I would feel the Lord reach down and help pull me up a bit, and other times I felt like I was fighting and clawing to the next foothold on my way up while He was under me, giving me the boost I needed. It was messy, it was difficult, and it was painful beyond words. 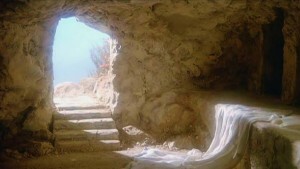 But I was victorious, because God’s specialty is bringing life from death! Let me say that again. God’s SPECIALTY is bringing life out of death! ANY death, when put in His hands, will birth life! And not only did I receive life, but during the battle, the Holy Spirit taught me so many things about myself, and about Him. Things about how I was living out of a false identity. How I didn’t really know how to live from a place of resting in Him. How I had a deeply rooted sin of judging the heart and motives of others, and would try to manipulate them into doing what I thought they should be doing. So not only did He bring me through the fire, He lovingly refined me in the process. I must share that I still have the pain of grief. I will always feel my daughter’s loss deeply, and my life will never be the same with her gone from this earth. But I have life again, beyond her death. And it is a life richer in God’s love than I could have ever imagined. If God can do this for me, He can do it for anyone. He can do it for you. He can do it for other parents who have lost a child from this earth through death. And that is now a passion I have; to reach out to those parents behind me who have been thrown into that deep black pit, and offer them a hand of hope. I didn’t have anyone to do that for me, and I don’t want that to happen to anyone else on this dark horrible path of the death of a child. About a year and a half ago, I woke up in the night with the title of a book (When Tragedy Strikes) and many of the chapter subjects. I got up and wrote everything down. It seemed the Holy Spirit was directing me to write a book, so I started. My plan was to learn how to publish the book myself, having no intent of pitching it to any publishers. Apparently, God had His own plan which I wasn’t aware of. In February of last year, Dave and I were at a conference in San Diego, where I met David Hancock, who is the founder of Morgan James Publishing. We had a conversation, and by the time we were done, I had his business card with a request to send him what I had written so far with the book I had started. Five weeks later, I was offered a book contract, and signed it on what would have been Becca’s 33rd birthday. I am still in total amazement of this! I never knew how much work is involved in writing a book and getting it published. And unless you are already a big name person with a huge public following, the greatest part of the leg-work of promoting and marketing a book falls on the shoulders of the author. And when you think about it, no one else is going to have the heart and passion for what was written on the pages more than the person who wrote it, so it makes sense that the author should be the strongest promoter. SO…. In my passion for getting this message of hope and healing to as many hurting and grieving parents as possible, I am putting together a team of people who want to help. I am seeking those who firmly believe in the power of unity! Those who know how God can move mightily through a group of people who are moving as one in Him, sharing His message of hope and healing. I am looking for those who hate seeing the darkness Satan keeps people wrapped up in, and want to shatter that darkness with the light and life of the Risen King. I want people who carry that seed of Hope within them and want to help me plant it in these precious ones who have lost their hope when they lost their child from this earth. I need to be connected with those who have a passion to give others a crown of beauty instead of ashes, the oil of gladness instead of mourning, and a mantle of praise instead of a spirit of despair and heaviness (Isaiah 61:3). If that is you, please click here, to find out how to join our When Tragedy Strikes Book Launch Team. There will be lots of benefits, including a free pre-release copy of my book. And if you are a bereaved parent, let me first say how very sorry I am! You have my heart, as we have an instant connection. I would be so honored, and absolutely love to have you join us on the launch team. We are here to be a light of hope, in a time of deep darkness for those who have been shattered by the death of their child. Please help us spread that light of hope! Do You Know a Pareavor? That is a quote from my newly released book Come Grieve Through Our Eyes: How to Give Comfort and Support to Bereaved Parents by Taking a Glimpse Into Our Hidden Dark World of Grief. 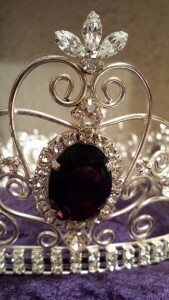 I would like to use this blog to share with you a few short portions from this book. The subject of death itself can be heavy, and the death of one’s child, no matter the age, is considered by most experts to be one of, if not the heaviest and darkest grief to be faced. I am not calling attention to this information to diminish the grief of other forms of loss. This is an area that probably causes the most tension with those who have not lost a child, but have experienced a significant loss in their lives. As a parent who has experienced this horrific event, I found myself trying to think of a word to describe what I felt, and the only thing that came to me is death—the pain of my own death. A part of us dies along with our child. This got me thinking. 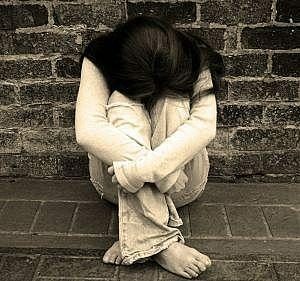 A widow or widower is someone who has lost their spouse; an orphan is someone who has lost their parents. Since it is acknowledged that losing a child is the worst event a person can go through in life, then why isn’t there a word for us? I have thought and prayed long and hard on this. One day I sat down and listed all the words possible for parents, grief, bereaved, children, etc. to see what I could put together as a word for a grieving or bereaved parent. That is how I made the word being introduced in this book: PAREAVOR. A pareavor is a parent who has lost a child through death. How did I come up with this? “Reave” comes from the word bereave. The meaning of the actual word “reave” (which the word bereave comes from) is: to plunder or rob, to deprive one of, to seize, to carry or tear away (Merriam-Webster). This sounds like a pretty good description of what happens when a child dies, no matter the age of the child. So a “pareavor” is a parent who has been deprived of their child who was seized and torn away from them through death. You will find pareavor being used throughout the book. It might feel a bit awkward at first, but I believe it won’t take long for it to become a natural word that makes sense and you will understand its usefulness and need. (It is definitely easier than constantly saying, “a person who has lost their child”, or “a grieving parent”, or “a bereaved parent.” Pareavors. That is who we are. How Does it Feel to Lose a Child? Some people (myself included) describe the death of a child like an amputation. The daughter we lost at age 29 lived 26 of those years with only one leg. It was amputated when she was only three years old, due to bone cancer. So we have experience with what living with an amputation is like. You have to learn how to live and function with a part of you missing. It can be done. But unless you have had to learn how to live day-to-day with an amputation, you don’t realize or understand the many things in life it affects. For example, there was the issue of our daughter’s shoes. She had a prosthesis, which helped her live a more normal life growing up. Her right foot would grow, but the left foot stayed the same size until she outgrew the actual leg and a new one had to be made. What size shoe do you buy when your child literally has two different size feet, since one grows and the other does not? How badly will it make her stumble, having one shoe a size too big on one foot? To go swimming, she would have to take off her fake leg and hop on her one real leg to get into the pool as quickly as possible, in order to keep from being stared at so much. Her towel would be used to cover up her fake leg lying on the ground or lounge chair. And when she was done, she would hop quickly on her one leg from the pool back to her fake leg (which was scary to watch, knowing how slippery those surfaces could be) dry off her stump, and put her leg on without calling too much attention to herself. These are just a couple of examples of how different our lives were, raising a child with an amputation. Yes, an amputation is a good description to help people understand what it is like to lose a child through death. But there is another one that actually seems even better to me. It is like a hole in the heart that cannot heal. This is the closest true description of child loss that I have heard. It affects everything you do in the very core of your being. I don’t even know how to elaborate on this. Just take whatever that means to you, and then intensify it about 100 times. So how does it feel to lose a child? All of us who have been hurled into a life-long membership in this unwanted club hope and pray you never have to find out. Does Time Heal Our Pain? Time alone does not heal our shattered hearts. It’s not time that heals, but what you do in that time. 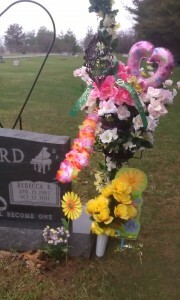 In the cemetery where Becca is buried, there is a section of babies and infants that were born in the 70’s and 80’s. Almost half of those graves continue to have fresh decorations, 40 years later. God so graciously showed me something about my thought in this area of “time,” to change my perspective. I am not getting farther away from Becca, I am getting closer to her. Each day I remain on this earth is a day I am closer to my own departure, which means I am actually getting closer to her, not farther away! Perspective can change everything. But it cannot be “forced” on a person. It can only be gently presented as a thought, allowing those in deep grief to take it and make the change in how they see it. Come Grieve Through Our Eyes has had a strong favorable response, from both those who have lost a child (and now have a tool to put in the hands of those around them) and those who want insight to know how to be there for someone who has lost a child. Please pass this information along to anyone you know who might also benefit from this book. To find out more about Come Grieve Through Our Eyes: How to Give Comfort and Support to Bereaved Parents by Taking a Glimpse Into Our Hidden Dark World of Grief, click here. 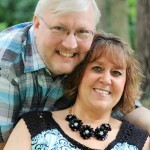 We also have a ministry for pareavors: GPS Hope (Grieving Parents Sharing Hope) and can be found at www.gpshope.org. The article was eloquently written, telling these parents how proud they should be that their children were murdered for the faith these moms instilled in their children, and how thankful they must be that their children’s deaths are an inspiration to all of us. I do not want to come across as attacking the writer of this article. Her heart is grieving for these parents, and she took a step to convey that. I applaud her for it. 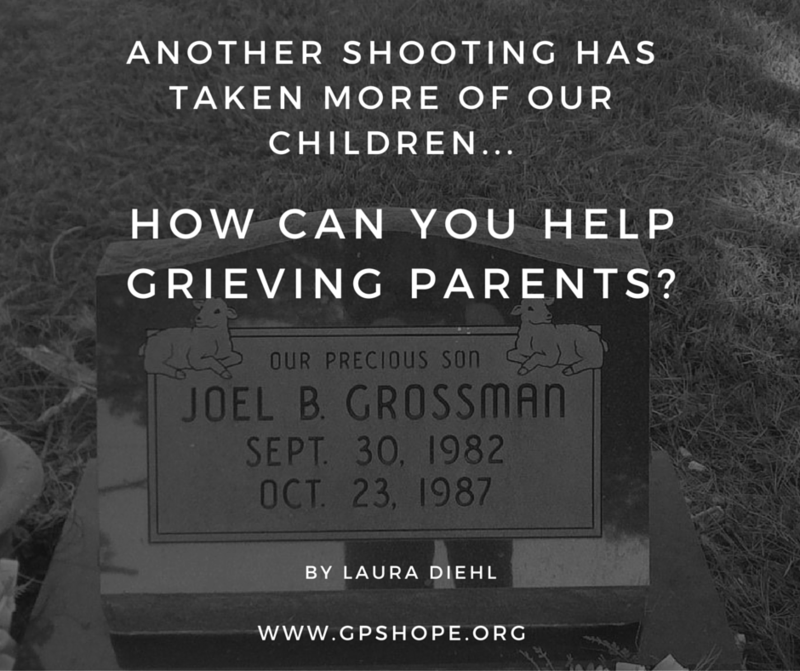 But as a bereaved parent myself (although not from a school shooting) I strongly feel there needs to be a greater awareness of how we respond to parents who are grieving the death of their children, so as not to increase their pain, thinking we are bringing them comfort. Put yourself in the place of these parents. Your child has been murdered because he or she declared their faith. You had no idea when he left for school that morning you would never see him again on this earth. All the hopes, dreams, and plans for your daughter, both in the next few months and for the rest of her life are now gone forever. You will never see their smile again, never hear them laugh, never be able to give or receive a hug, or hear them say, “I love you.” They will never sleep in their bed again, never again sit at your table for a meal, never celebrate another birthday…it goes on and on and on. Now, under that heaviness, how do you feel being told you should be honored that your child died a martyr’s (or a hero’s) death and that it is an inspiration to others? You might graciously tell them thank you, and your mind knows that is true, but your heart is too shocked and heavy to be able to accept the truth of it. It’s easy to tell a parent something like that, and see it clearly when it is someone else’s child, but chances are actually pretty good being told something like that so soon after your own child’s death (they haven’t even had any funerals yet) will make you internally angry. Sadly, you are not being shown compassion – which is acknowledging and validating how you do feel about your deep and intense pain that your child is no longer on this earth; not telling you how you should feel. You are also not being allowed time to process the nightmare itself that has totally shattered your world. 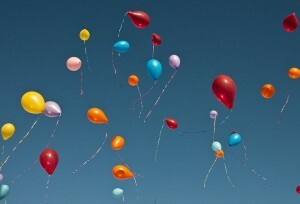 Instead, you are being “pumped up” by those around you who have never experienced the death of their child, being a cheerleader in a way that makes you feel like you are supposed to glide right on past the trauma and be grateful for the good fruit that will come from it in the lives of others. The writer of the article also reminded these parents in detail how their children died…how each one watched the ones ahead of them get shot (directly in the head in case you are not aware) and yet still claimed their Christianity, knowing what was going to happen. She wrote this with good intentions, thinking if she made sure these moms are reminded their children died nobly for the cause of Christ and how brave they were in their deaths, that it would bring the parents comfort. HOWEVER, reminding parents of the details of their worst living nightmare they cannot wake up from, does not bring comfort to the raw and deep grief of those parents, no matter how noble their child’s death was. The moment of the death of our child plays in our minds over and over and over again (whether we actually saw it, or we are imagining what our child’s last moments on earth were like). So to have someone remind us, even if it was meant to encourage us by telling us how noble of a death it was, can actually be very painful, as we are already fighting seeing that image in our heads. We end up being somewhat forced to put on the thankful face people think we should have, while crumbling on the inside. When it so fresh, we don’t want to be told how God is going to work it out for good. We don’t want to be reminded that our children are now in heaven with Jesus (we are much more aware of that than you are). WE JUST WANT OUR CHILD BACK! Anyone who has lost a child can attest to the intense darkness, pain, and confusion that goes beyond anything that can be put into words. The normal clichés and “words of comfort” and scriptures that are given to those grieving other losses do not usually help our shattered hearts. We can’t sleep, we can’t think, we can’t even breathe at times. Our head knows our child is gone, but our hearts fight that fact with every fiber of our being. We all expect our parents to proceed us in death. It does not diminish the deep pain and grief when it happens, but we know at some point we will have to travel through the “valley of the shadow of death” with our parents. Those of us who are married know in the back of our minds, there is a 50/50 chance our spouse will leave us behind at some point, to live on this earth without them. Once again, I am not saying the death of a spouse is not a dark and painful place of grief to have to work through, figuring out who we are with that part of us now gone. But our children are our legacy. They are our future. They are supposed to outlive us, get married, bless us with grandchildren, be one of our best friends in their adult years… It is unnatural and so very wrong to bury your child. 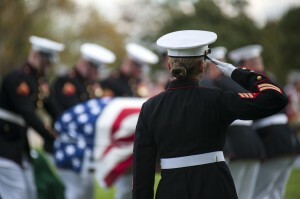 Working through the grief of the death of a loved one can take months, or even years. Working through the grief of the death of our child (no matter their age) takes a lifetime. 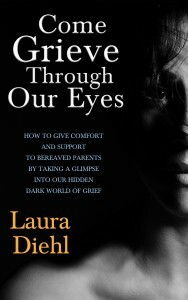 If you are interested in reading more about how the death of a child affects a parent, or want to know things to avoid that bring us more pain, and how to be a comfort and a strength to us, I encourage you to check out my book Come Grieve Through Our Eyes: How To Give Comfort And Support To Bereaved Parents By Taking A Glimpse Into Our Hidden Dark World Of Grief. You can also check out on our website my book coming out in July 2016, endorsed by Darrell Scott (father of Rachel Scott from the Columbine shooting) When Tragedy Strikes: Rebuilding Your Life After the Death of Your Child.